This week I was walking along a “Greenway” trail that passes along a river through a wooded area in town. I had spotted a patch of Mayapples earlier in April and was going to check on them in June to see if there was any remnant of fruit this late in the season. Nope… not surprised, so I decided to return to my car. 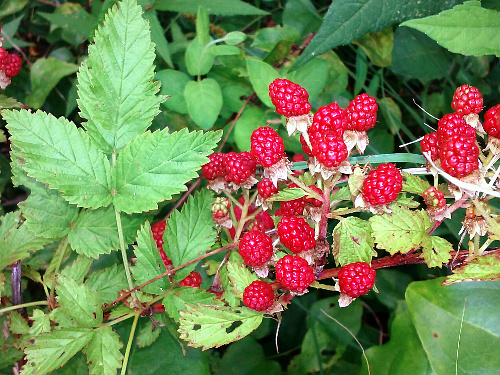 On the way back I noticed some reddish berries by the trail side. I stepped closer for inspection and found that they were wild raspberries. Of course I had to pick one to verify my appraisal and was rewarded with a tasty morsel. Raspberries are known as an aggregate fruit or compound berry meaning that it is composed of many parts. These small globes of juice form the berry wall. A distinctive structure or identifier of a raspberry is that once the berry is pulled off the stem it leaves behind the inner core and when you invert the berry for inspection there is a hollow center. A few days later I was visiting a sweet eighty-something lady who on occasion tells me about her days growing up in the mountains of Northwest North Carolina. As a child she and her siblings would go out into the woods and gather various edibles of which raspberries were included. She said that they collected three types: yellow, red, and black. They would have to wait until they were ripe before collecting them yet before the other neighbor children would beat them to the patch. 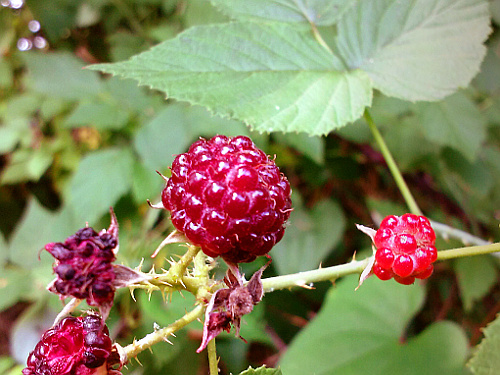 The large cluster of berries shown in the photo are not yet ripe and will increase in size and darken when ripe. You can see compound leaves of three that are jagged edged and when you inspect one it will reveal a silver-gray underside. It is also interesting to note that the leaves can be collected to make tea and has been medicinally used for a variety of treatments… most notably for feminine reproductive system health but is also considered a good tonic herb with a rich supply of vitamins and minerals. As a side note… most compound berries are known to be edible and are generally a safe bet for consumption. 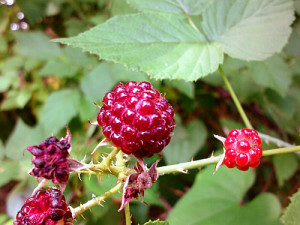 These might include raspberries, black berries, mulberries, boysenberrys, dewberries, and thimbleberries to name a few. 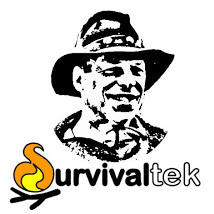 If in doubt, it’s always good to seek the advice of local experienced naturalists or herbalists who are in the know. This entry was tagged Berries, Edible, Foraging, Identify, Raspberries, Wildcrafting. Bookmark the permalink.